The snack that is also hearty enough to be a meal! 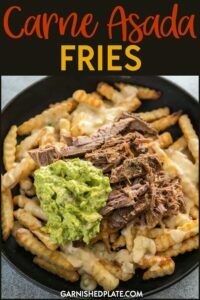 Delicious Carne Asada Fries are topped with homemade queso blanco dip plus my an easy guacamole and tender carne asada for a dish that can be served up at a tailgate party or for dinner! Is there anything better than a crispy plate of fries with all your favorite toppings? 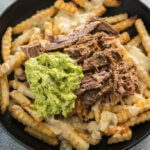 If so, I can’t think of it at the moment because all I can think about is digging into more of the cheesy goodness that comes along with these amazing Carne Asada Fries! And yes, I used a bag of frozen fries because I’m not totally crazy ;). There’s only so much time in a day and if we are making homemade cheese sauce and guac, the fries can come from a bag. If you need a recommendation on some good ones, Alexia never disappoints. 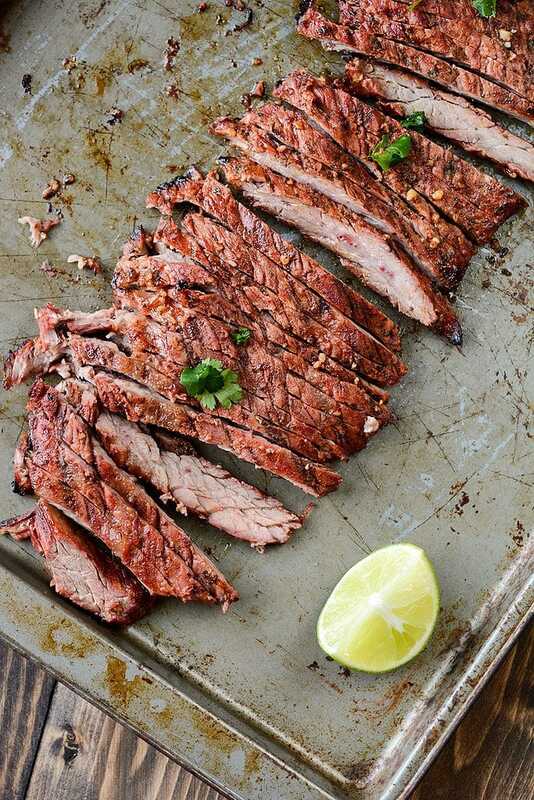 What is the best meat for carne asada? 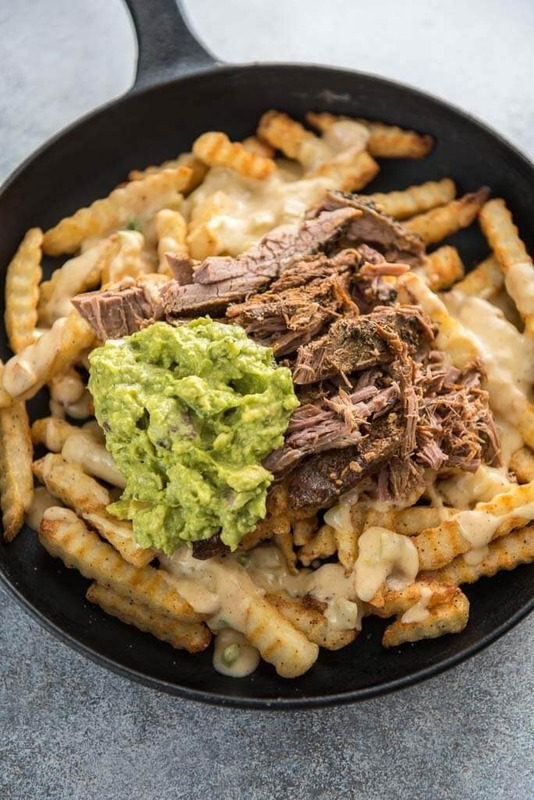 When should you serve carne asada fries? I think that’s a trick question, because the correct answer would be anytime! awesome for a weeknight dinner because life should be fun no matter if you have to work tomorrow or not! Serve up with a margarita these become such a treat!! This is definitely a comfort food dinner recipe. My husband would devour it in no time. I love carne asada! I never thought about putting it on fries. Will definitely give this a try. Oh my gosh my other half would go bananas if I made this for a meal or snack. And let's be honest, I would go bananas too! Just pinned and can't wait to try these out sometime! I love this. 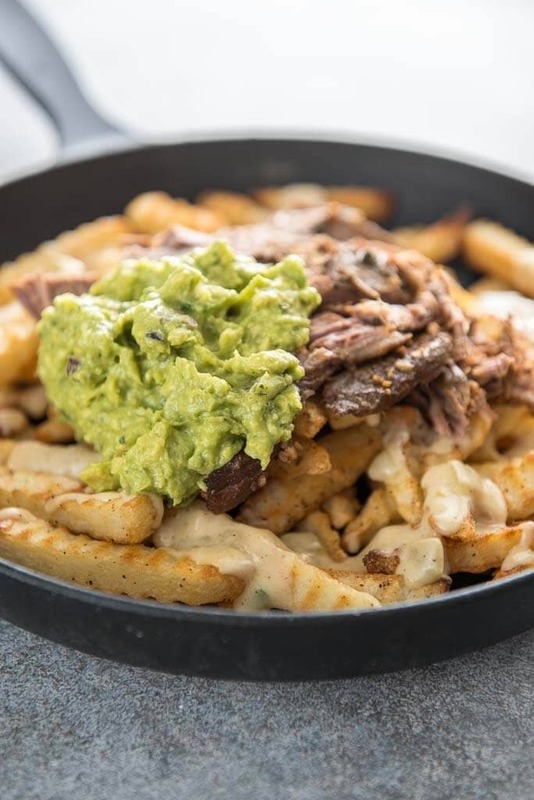 It's like a poutine with one of my favorites, carne asada. Break out the fries! Making this tonight. 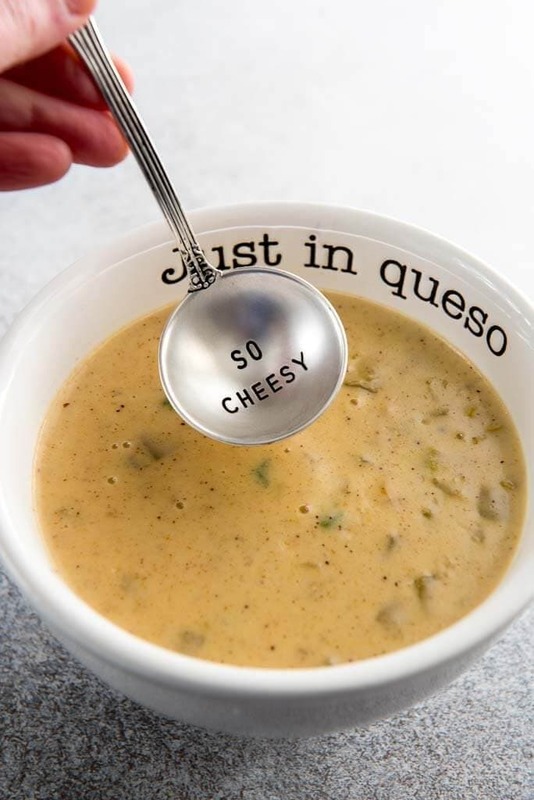 Anything loaded with guac is good with me. 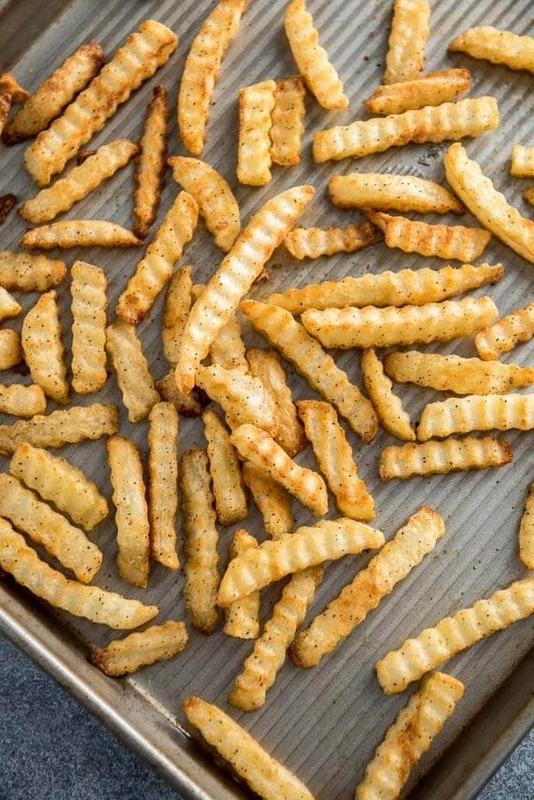 These are my kind of fries! It's like you see right into my soul with this recipe! Ha! Looks amazing. Totally want to dig in right now!